Are You Looking at the Best Marketing Metrics? Marketers have become very focused on measuring the effects of their work—which is both good and bad. On the one hand, quantifying things can prove that certain strategies and tactics are effective and worth additional investment. On the other hand, we don’t always do a very good job at understanding the numbers our work produces, which means data may be driving us to the wrong conclusions. Without an attribution model and ROI visibility, it’s difficult to have a cohesive, holistic strategy. Complicating this further is evidence that channel marketers aren’t using the same metrics to measure success that their leaders do . Our State of Marketing Leadership report indicated that revenue growth, return on investment, and conversion rates were the top three success metrics for senior marketers. Those are great, business-oriented, bottom-of-the-funnel metrics. However, when we asked channel marketers the same question in our 2015 State of Marketing report, we got very different answers. For instance, social marketers said their top success metric was website traffic from social media. Mobile marketers said their No. 1 mobile marketing success metric was mobile website or app traffic. And email marketers said their biggest success metric was click-through rates. It’s interesting that all three of these channels focus most on engagement-level metrics—which is the type of metric that leaders said they valued least. 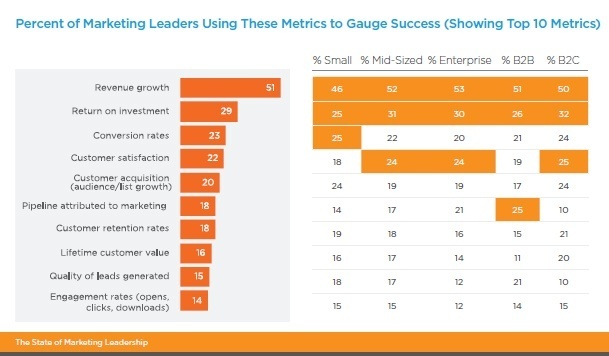 Engagement rates (opens, clicks, downloads) was the 10th most popular success metric, at the very bottom of the list for success metrics among marketing leaders. There are a few different possibilities for this disconnect. First, channel marketers may not have visibility all the way down the funnel. Some of that might be limitations of their software, and some of that might be limitations on data flow. For instance, most email marketers are not able to use conversion rates strategically because their companies do not feed conversion data back into their email service providers. This forces them to rely on inferior—and sometimes misleading—metrics like open, click, and click-to-open rates, which were three of the top four success metrics named by email marketers. Second, channel marketers may not be fully aware of how to best use the various metrics available to them, which is completely understandable considering the torrent of data that’s at their fingertips nowadays. For instance, email marketers have dozens and dozens of metrics at their disposal. Metrics exist at the campaign, channel, and customer level and can be either email-centric or business-centric in nature. Some metrics, like click-to-open rates, are helpful in optimizing emails at the campaign level. Others, like inbox placement rates per ISP, are helpful in maintaining the health of the email channel. Still others, like email marketing revenue, are primary indicators of business success at the channel level. 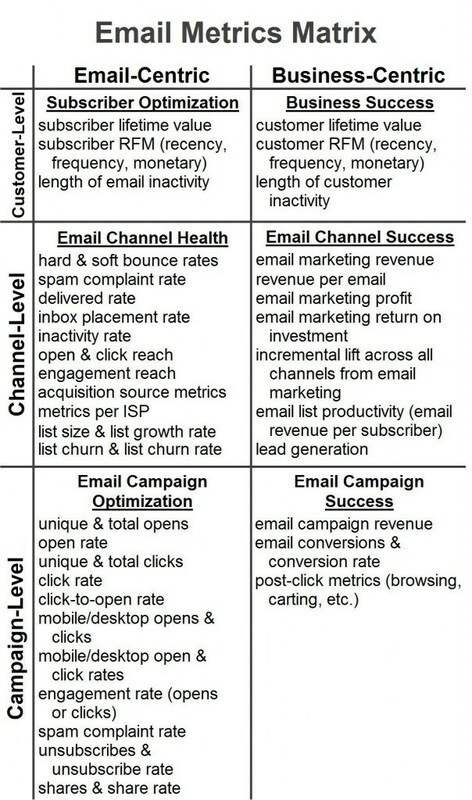 To provide a better view of the email marketing metrics landscape, I’ve pull together this Email Metrics Matrix that shows where various metrics fit in. And finally, a third explanation is that channel marketers are being measured by different metrics. Sometimes channel marketers steer performance goals toward channel metrics instead of business metrics, but other times executives task channel marketers with achieving channel goals that don’t correlate to business success, such as growing their email list by X percent. Both channel marketers should be working toward the same customer-centric, business-centric goals—and channel marketers should be using their campaign- and channel-level metrics to set themselves up to achieve those higher level goals. The year is still young. 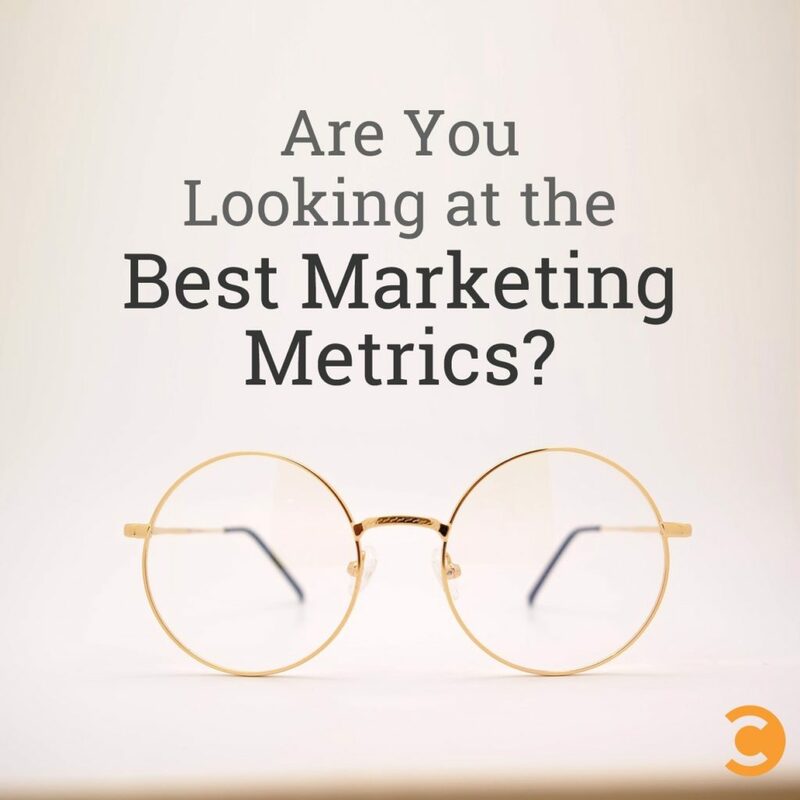 It’s not too late to revisit your key performance indicators for 2015 and re-orientate them around the customer and business metrics that really matter, and avoid prioritizing metrics like opens, clicks, and list growth that can undermine top-line performance. Let’s get everyone focused on the same goals.